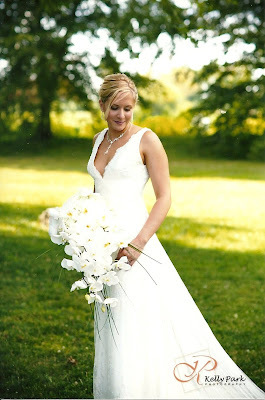 Phalaenopsis orchids are becoming very popular in the wedding magazines and reality shows. They differ from other orchids with their large, flat petals and smaller throat. Sisters has used them in different ways depending on the look that is intended. Take a peek! Phals come on very long stems so they work great for long, flowing cascades as seen in these two pictures of the same bouquet. 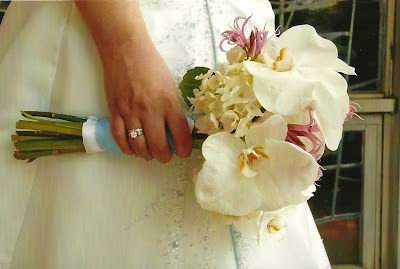 The individual orchids can also be removed from the stems and used as blooms to accent other flowers in a bouquet. Here the phals are being used with other flowers to cascade down the side of the cake.